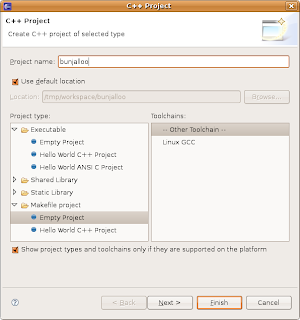 I have heard good things about C++ support of Netbeans. It also has a neat plugin for us Vimmers called jVi. 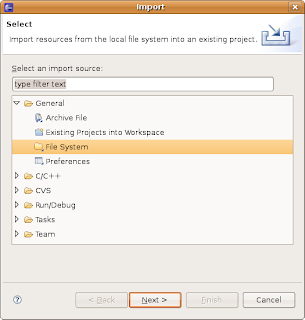 Try Netbeans+jVi. Hi.. 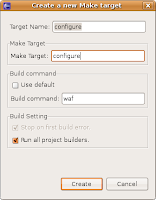 I am a new newbie at all this and I tried following your instructions, but when I try to build my project I get the following in my eclipse console window.. any suggestion? If you're on Windows, then you may need to use "python.exe waf" instead of just "waf", or use the waf.bat wrapper script. Aaah! That fixed it.. I now understand how eclipse tries to launch that program. Hi...I tried to do as you mentioned. However, I am not able to see an empty project under 'make file project'. 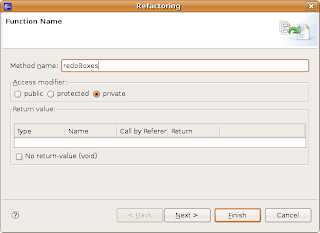 I am using 3.3.2 version of eclipse. 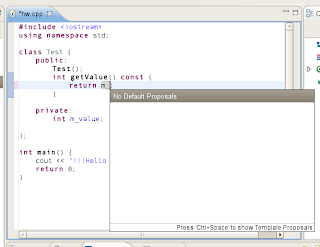 You may want to try Vrapper - it's an open source plug-in that adds Vim key-bindings to Eclipse. @Krzysiek - thanks for bringing that to my attention. Even in its 0.12 release it works very well!